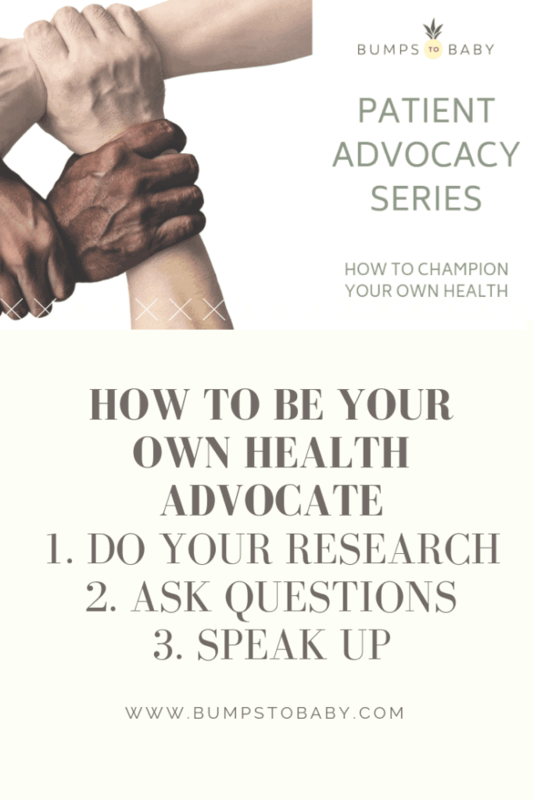 Patient Advocacy – Three ways to champion your health and be your own advocate! Have you ever felt as though the very person you are putting the utmost faith in to have your best interests at heart has failed you? Or, have you ever questioned why certain things are being prescribed or the course of action for your healthcare has taken one route over another? If the answer is yes to either of these, this series is for you. Welcome to the kickoff of the Women’s Health Patient Advocacy Series! 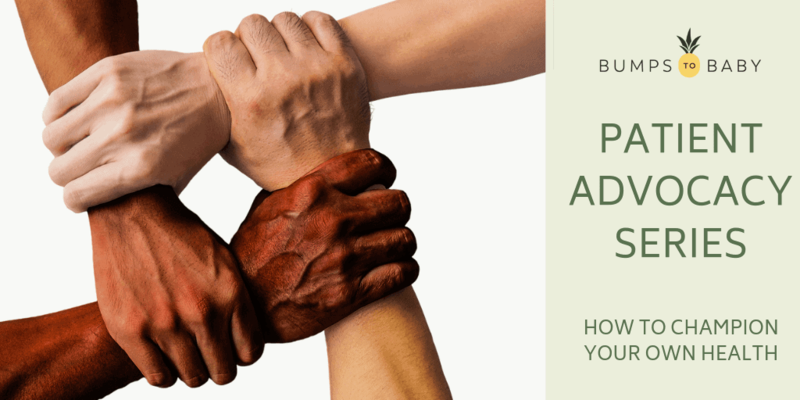 I’m beyond excited to introduce this new series to you that is designed to educate, empower, and encourage you to be your own patient advocate. 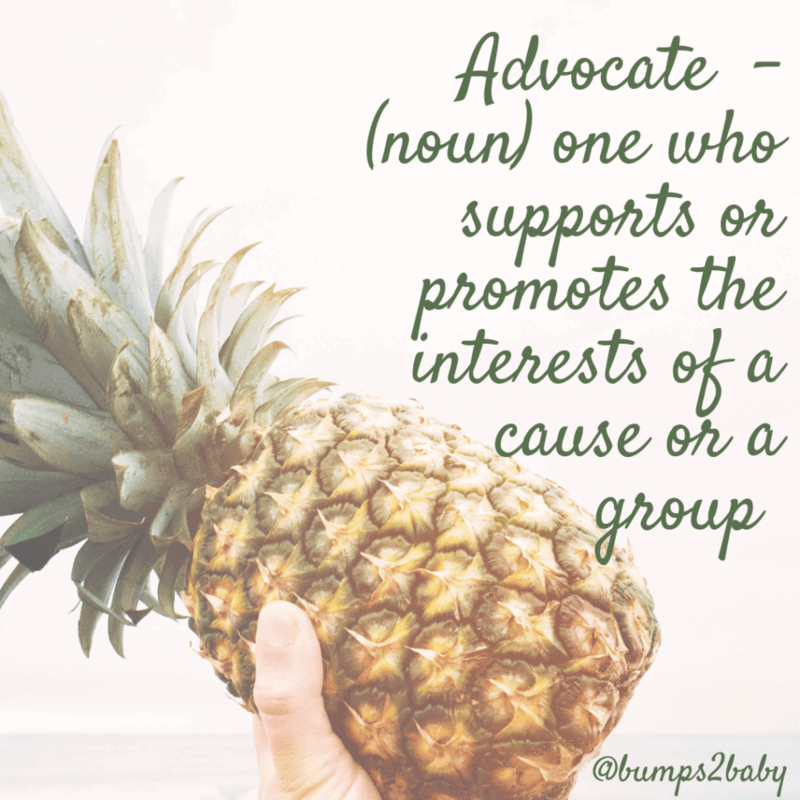 Now, what does an “advocate” even mean? Thus, patient advocacy is when you (the patient) becomes a champion (or the supporter) for your own health (also know as the “cause”). Given I’m certain 100% of you smart ladies knew this, the problem comes when we put so much of our faith in our healthcare providers that we neglect to question their prescribed course of action. Now, let me reverse here. I’m not some women waving her hands in the air and saying NO MORE WESTERN MEDICINE by any means. I am a big believer I was born in the era I was so I could utilize the advances in medicine that we’ve been blessed with. However, I am saying that we, patients (myself included), have become so faithful to our clinicians that we have forgotten how to speak up, ask questions and ensure the route they’ve prescribed for us is indeed the route we are comfortable with. While I’ve had my fair share of times when I didn’t speak up like I should, I will give you one example that I’ve yet to share here that will hopefully show you the dimensions that patient advocacy can take. When we found out in late August of 2017 that Bumble Bee didn’t take, we were absolutely devastated. But, to be completely honest, the icing on the cake that did me in that day was that our physician didn’t call to tell us the news, but one of the rotating nurses they had in and out of their clinic. I wept for days, literally, wondering why when we were told by the embryologist during our retrieval one of the two embryos would surely be high enough quality to make it full term and neither did; why I was a “failure”, yet again; and why my doctor couldn’t find the 3 minutes to phone us and let us know the news. Well, I literally sat in my thoughts for nearly three weeks thinking about this. 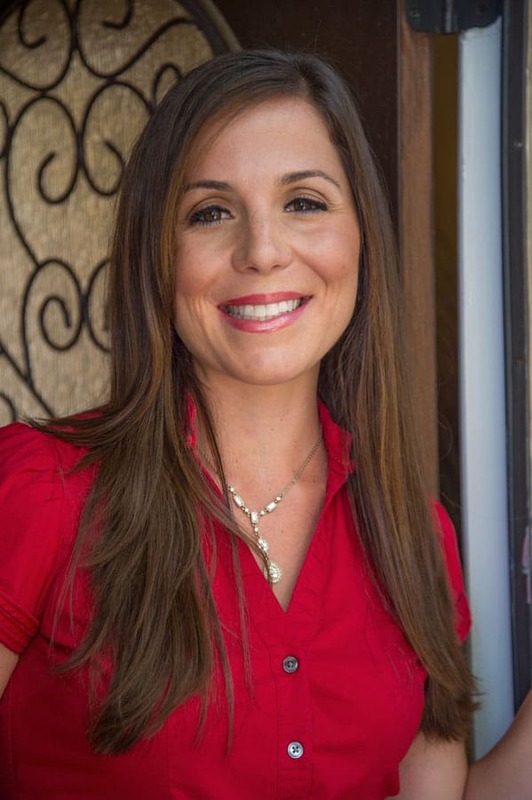 Mind you, my doctor was someone I had grown very close with over our years of treatments at her center; she even is one of the MD’s on the Fertility Foods Cookbook for crying out loud. I was shaking when I asked her. But, I was proud enough I found the courage to bring this to the table, to advocate for my emotional needs, and let her know that I needed this from my care provider. Sure, I knew she couldn’t call me with every lab result nor did I expect her to, but I did expect when our last hope of expanding our family had fallen through she’d pick up the phone. Hearing this, seeing a real person express to me that she certainly would have phoned me had the situation for her health been different helped lift a part of the emotional anxiety and depression I had been feeling for the previous weeks. Moral of the story: I finally learned to speak up for my emotional needs as well as my physical needs (you can read more about how I did that here during that meeting too) and felt SUCH EMPOWERMENT! If your clinician is recommending something that sounds uncomfortable or unfamiliar to you, you can take the initiative and ask them for the research available on the specific medication or procedure. DO NOT CONSULT GOOGLE! You can use the reputable data they provide you with to make your own educated decision. You are the patient, it’s the clinicians job to provide you the appropriate care for your health. Appropriate care means making sure you understand and are comfortable with their prescribed route. Even if this wanders into something perhaps in the emotional health realm (see my sample above!) it’s within your power to ask why. If your clinician becomes uncomfortable with the questions, my friend please know you can ALWAYS find another clinician! Nope, this isn’t the same thing as “ask questions”. Speaking up is directly in the moment. It’s not a question but a verbal NO in that you do not agree with their recommendation and as the patient, have every right to! For instance, when I left the hospital postpartum (see this post here), I refused to go home with a foley catheter. As a patient, I have the right to do so. However, what’s important to note here refusing treatment against medical advice is a fine line, and as with anything, you really need to be certain this is the best for you and won’t endanger your life. In an effort to show you more women being advocates for themselves, I invite you to join us for this new Patient Advocacy Series! My hope is to show you that regardless if it’s dealing with a fertility specialist, dietitian, physical therapist, etc., you as a patient have the RIGHT to be heard! Thank you for following along my friends. And if you know someone who can benefit from this, please share. We as women are stronger together when we can speak up and highlight patient advocacy for all!